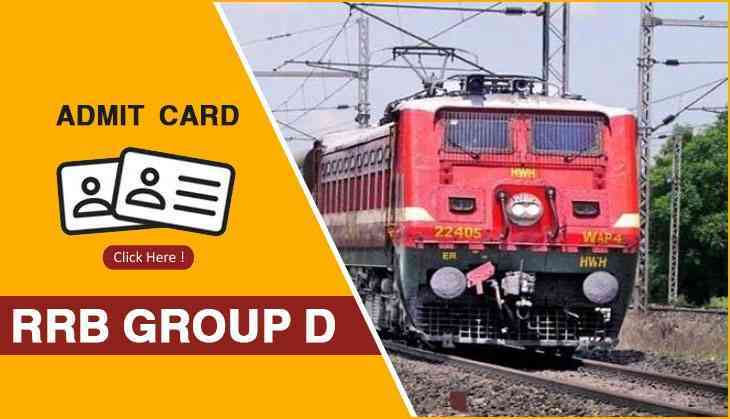 Candidates who are waiting for their RRB Group D admit card then the date is near to do that. According to the reports, the hall tickets for RRB Group D CBT exam will soon to release on the official website next week. Therefore, candidates keep your eyes on the official website to download your hall tickets. As per the reports, the railway recruitment board will be going to release the Group D admit card on 13th September, therefore, candidates are advised to check the official website of RRB. However, the examination for Group D will be started from 17th September. As per the official schedule, the Computer Based Test for the recruitment of level 1 posts as per the 7th CPC will commence from 17th September. According to the RRB notification, "Candidates may log in with their credentials on the above-mentioned dates through the link to be provided on the official websites of RRBs for knowing their Exam City, Date, Session, downloading Train Travel Authority (for SC/ST candidates only) and E-Call letter." However, as soon as the admit cards released on the official website, then only, candidates would able to know about the updates about their examination.